ELM SPRINGS (KFSM) – Another key player involved in the proposal to build a wind farm in Elm Springs has a history of criminal and civil cases involving his finances. Court documents obtained by 5NEWS show Cody Fell has a history of financial issues in Arkansas and Oklahoma. According to city council meeting minutes, Fell and two others represented Dragonfly Industries International at initial meetings with Elm Spring city leaders in December 2014. However, Fell’s official role in the company is unclear and he is not listed on the company’s website. 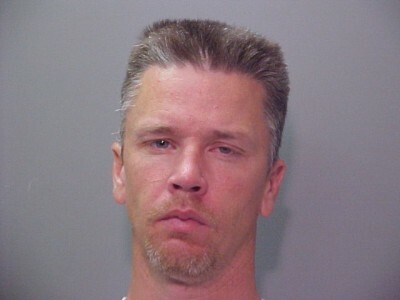 Court documents that go back to May 2003 show Fell has a history of failure to appear, failure to pay for services and a conviction for violating Arkansas’ hot check law. In 2003, Fell was ordered to pay $5,357 in Washington County when he didn’t appear for a case involving one of his companies, Creative Home Designs, after he failed to pay his account with Smith Tile Company. Mug shot of Cody Fell from 2003 after he was booked for violating Arkansas’ hot check law. Later in March 2004, court records show Fell pleaded guilty to a misdemeanor violation of Arkansas’ hot check law after he knowingly made out a check to Air Control Corporation for $2,462 that wouldn’t clear. Fell was sentenced to 12 months of probation with minimal supervision. Also in 2004, documents show Fell faced foreclosure on a property in Tontitown after owing Arkansas National Bank more than $316,000. In 2005, after failing to respond to another court case, Fell and another one of his companies, Builder Services of Northwest Arkansas, were ordered to pay nearly $5,400 to United Bank of Springdale. Then in 2009, First State Bank of Northwest Arkansas took Fell to court after he failed to make payments on a loan and again didn’t respond to a summons. Fell was ordered to pay nearly $29,000. Fell also has a record of financial cases in Oklahoma. In 2007, in Adair County, Fell was order to pay more than $40,500 to the Theodore R. Murray Living Trust after defaulting on a promissory note and mortgage. That same year, Fell and one of his companies in Oklahoma, Custom Structures, was summoned to court by Tulsa Casting and ordered to pay nearly $3,500. Records show a bench warrant was issued for Fell in 2009, but was returned several months later after Fell couldn’t be located. In 2008, Fell and another one of his companies, Eagle Management, were summoned to court for breach of contract, although the sum sought in the case was not available in online records. The records show a judge issued several bench warrants for Fell after he failed to appear in court. Fell and his wife filed for bankruptcy, but their case was dismissed “because of various misrepresentations of the defendants,” according to a citation for contempt. And as recently as 2012, Fell and Eagle Management were once again brought to court for breach of contract after failing to pay a $55,000 contract. Again, the judgment was by default because records show Fell never showed up for court or responded to any summons. Records show Fell has also been a defendant in several cases in Delaware County. In two of the civil cases the sought monetary relief exceeded $10,000. Dragonfly Industry’s CEO, Jody Davis, released a statement last week regarding an embezzlement conviction from 2009 for which he served time in federal prison. 5NEWS contacted Davis regarding Fell’s background, but didn’t receive a response. The information brought to light recently surrounding Dragonfly personnel no doubt has put a cloud on the future of the wind farm project. I am confident the Planning Commission and City Council will make the right decisions for the citizens of Elm Springs. I respectfully support those decisions. According to Washington County real estate records, the plot of land for the proposed wind farm project is located at Tally Gate Road and Kenneth Price Road and was annexed into Elm Springs by the city council in October. Records indicate the land is owned by Elite Energy, LLC, a company that’s registered to Brandon Smith, and was purchased in February 2015 from Chambers Bank. City council meeting minutes show Smith was also present to discuss the wind farm project with city leaders in December 2014. Fell, Smith and Ron Filbeck are listed in the minutes are representing Dragonfly Industries. None of the three men are listed on the company’s website. Arkansas Secretary of State records show Fell, Smith and Filbeck listed as managing members of CBR Investments, also Auto Solutions Used Cars, in Springdale. Documents from the Arkansas Department of Environmental Quality indicate the Arkansas One Elite Energy Wind Facility has been granted a stormwater construction general permit. The permit correspondence was addressed to Arkansas Wind Power, LLC and Jody Davis. Arkansas Secretary of State records indicate Arkansas Wind Power is registered to Phillip Ridings, who is listed as the inventor of the wind turbine technology that will be used in Elm Springs, according to the Dragonfly Industries webpage.